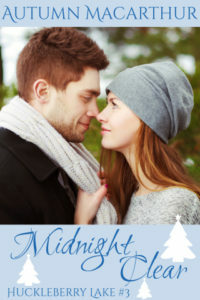 Midnight Clear by Autumn Macarthur is the most delightful contemporary Christian romance. It will warm your heart whilst simultaneously tugging at your heartstrings. You will be smiling one minute and wiping tears the next. This story is one of great joy and even greater pain. In contrast, another character pulls away from God, preferring in their grief to vent their anger on God and others. In spite of the anger, the character has been praying but “keeping on praying when all… prayers went unanswered felt more and more pointless.” It feels like prayers are hitting a brick wall and every request is met with silence. God’s silence never equates to absence or inactivity. However when our pain is all we see, we edge God out of the picture. We think because we do not see Him, He does not see or care for us. God waits for us to stop pulling from Him and to return to Him and trust Him. The novel is about persistent love – both of God and of people. Love as portrayed in the novel, has all the qualities displayed in 1 Corinthians:13. A wonderful air of warmth and friendship pervades the whole novel. I adored it. I have yet to meet a book by Autumn Macarthur that I didn’t like. 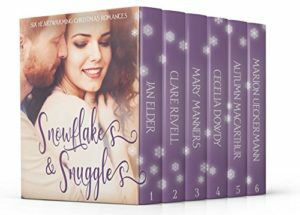 They are all wonderful but don’t take my word for it – try Autumn Macarthur’s books for yourself. Midnight Clear is part of the Snowflakes And Snuggles Collection.